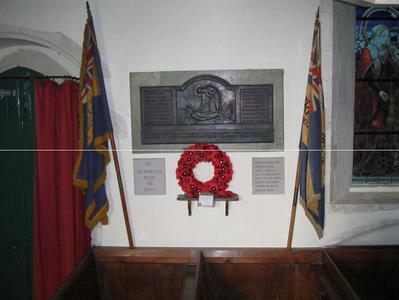 A metal plaque divided into three sections and mounted onto a marble tablet. On the central section of the plaque is a relief depicting a wounded or dead soldier on the battlefield with Christ standing over him. On either side and below the relief, the dedication is written in raised lettering. 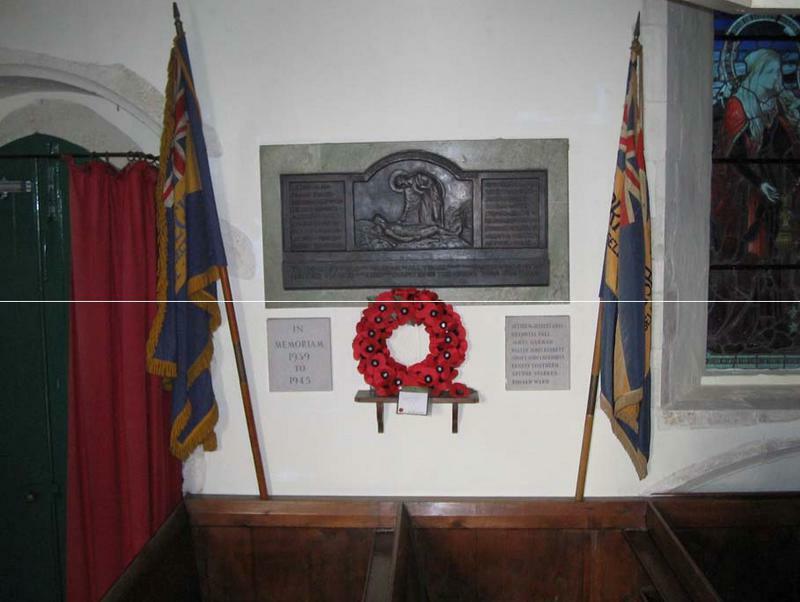 Two additional tablets are mounted beneath with the dedication and names to the Second World War written in black lettering.